Sephora's previous campaign was Skin Rescue. 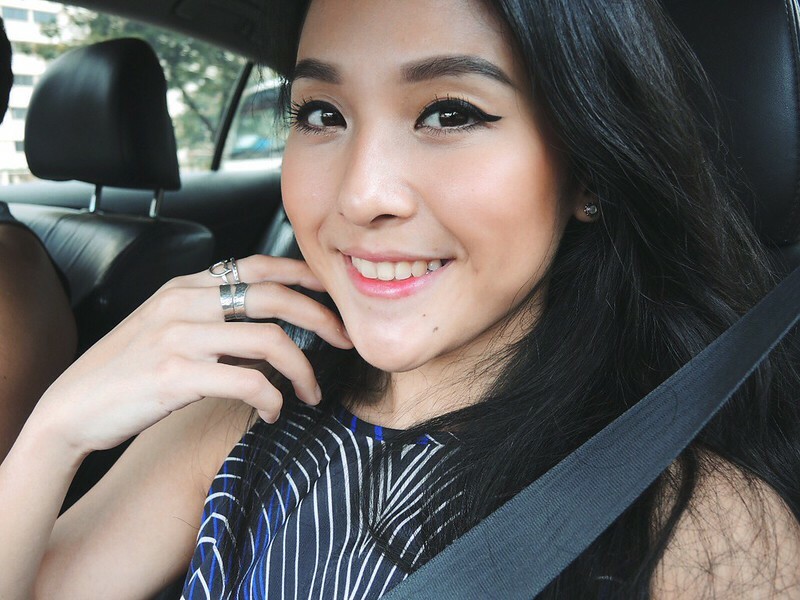 This time, it's all about eye-conic brow makeup and eyeliners! 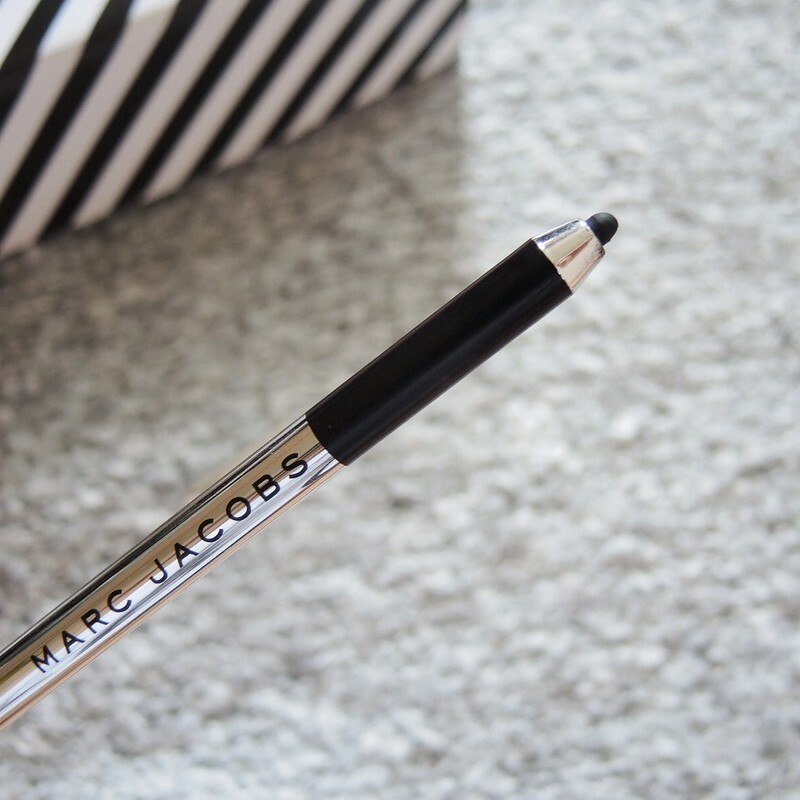 Let's start off with my favourite product in the box, Marc Jacobs Highliner Gel Crayon in the shiniest and blackest Blacquer. I couldn't wait to try it out which explains why the tip is already blunt. As with all (if not most) crayon liners, it comes with a little sharpener at the other end for a more precise and sharp look. 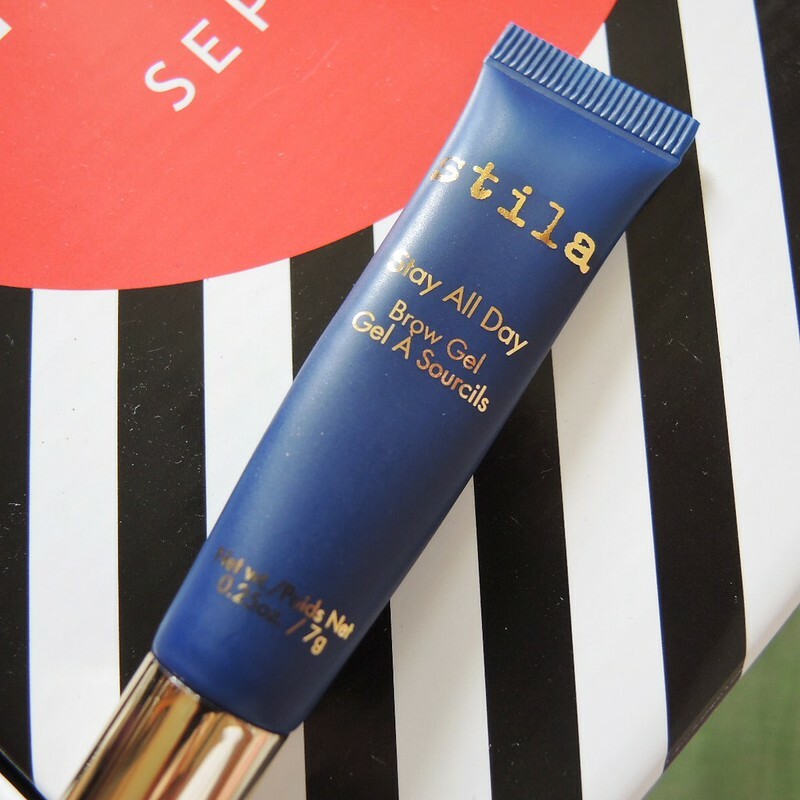 It's super intense, creamy, and glides on incredibly smoothly! I wore this out on a Saturday for some photo taking, and in honesty, I was expecting it to smudge (I have slightly oily eyelids) especially in this humid weather. 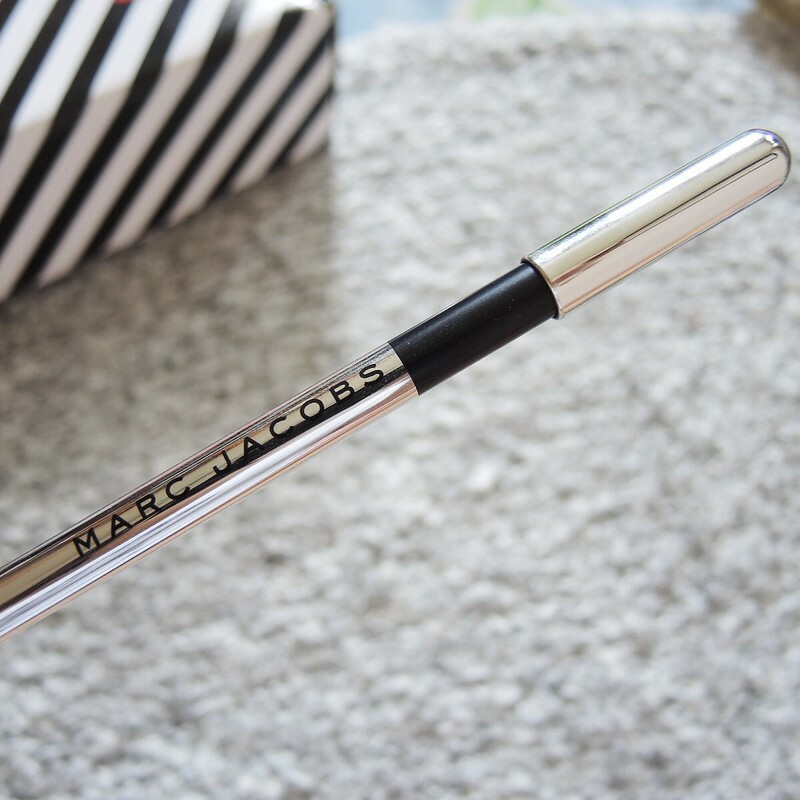 Marc Jacobs Magic Marc'er Precision Pen is a liquid eyeliner with the finest tip for super precision and perfect definition. The packaging is so sleek, I love it! 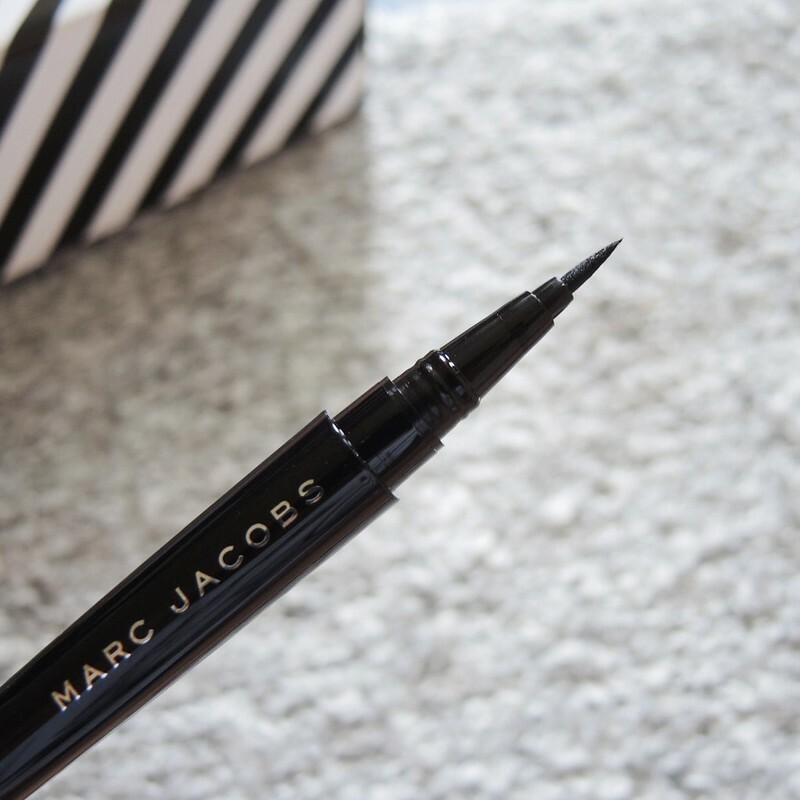 Whether you like your lines thin or thick, this eyeliner does the trick! It is also smudge proof, waterproof, and does not fade. 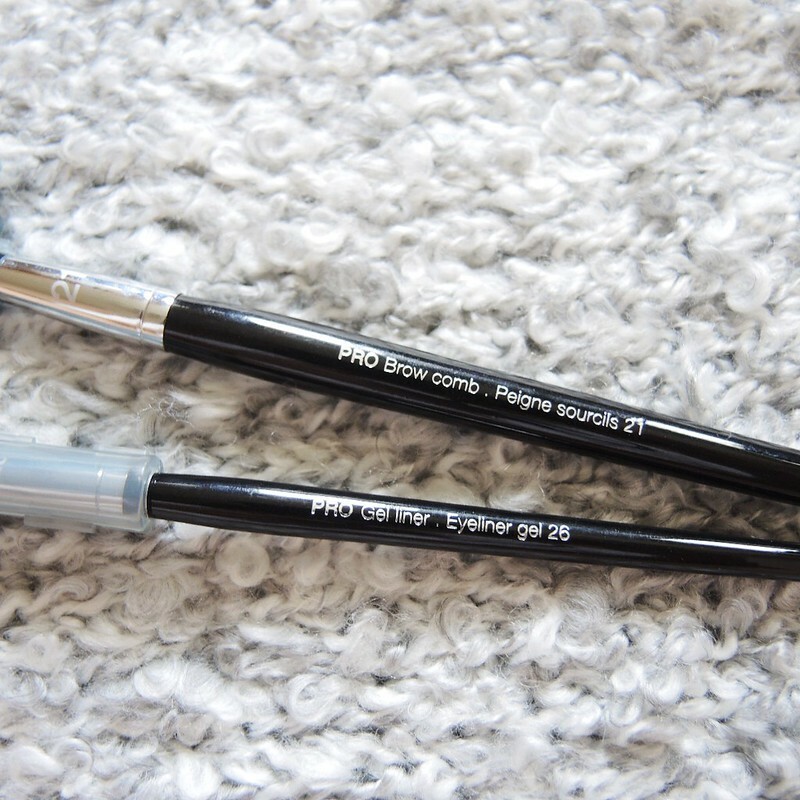 I usually prefer crayon/pencil liners, but I'll definitely give this a try soon! 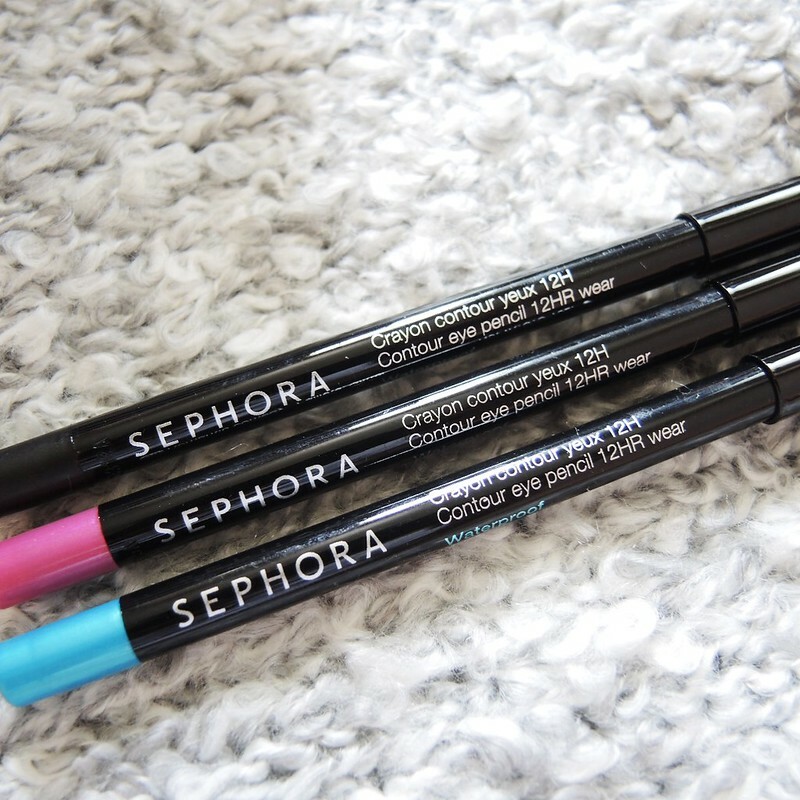 Sephora Contour Eye Pencil 12hr Wear is a contouring eye pencil that lasts for 12 hours. Comes in bold and long-wearing colours to bring some fun to the entire look. 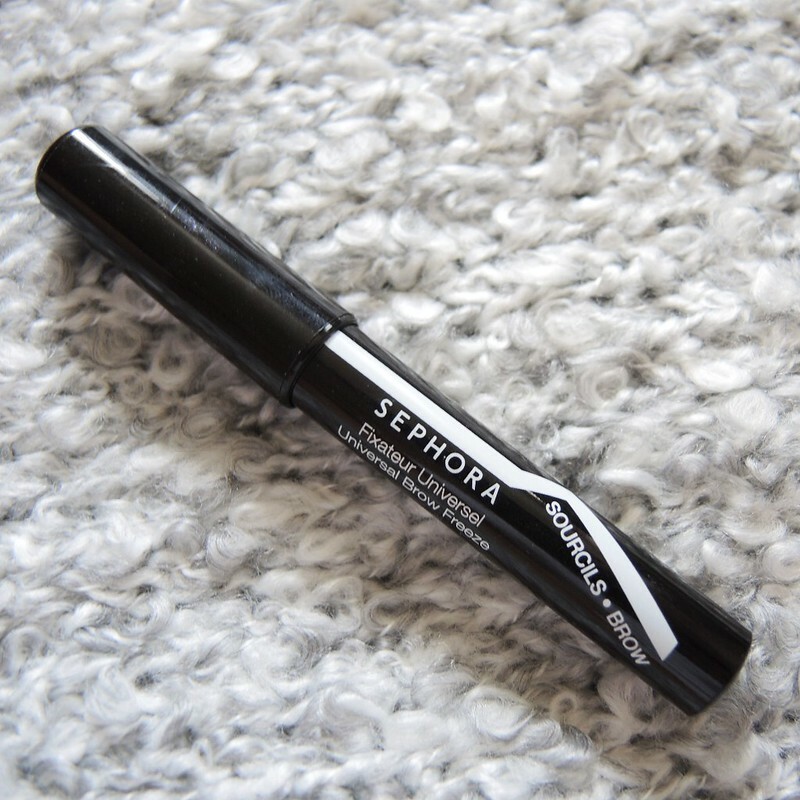 Sephora Universal Brow Freeze is a colourless, jumbo brow pencil to shape and set your brows in a single step. 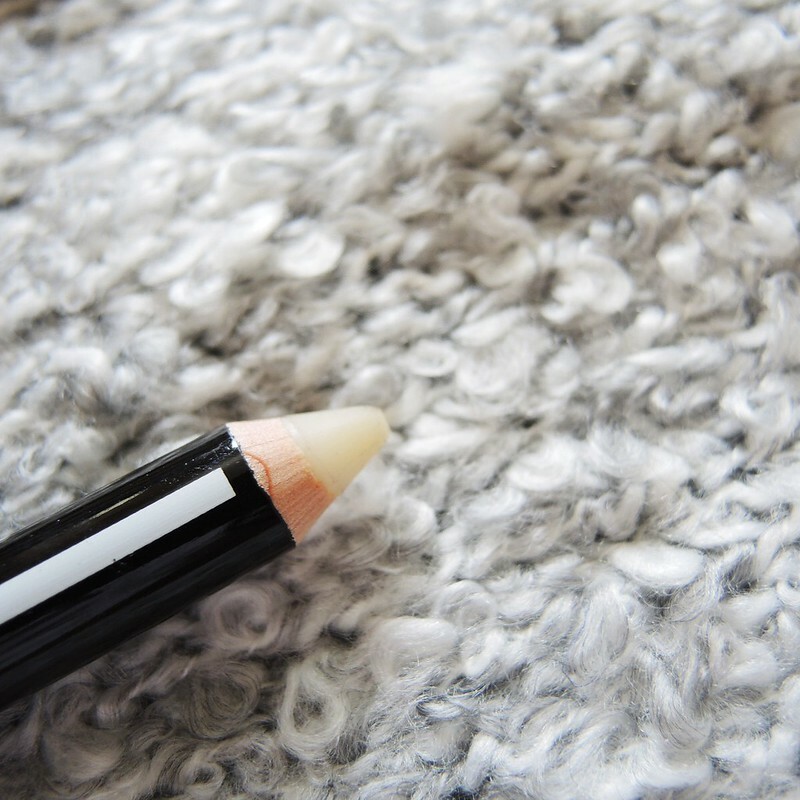 It basically works like a brow gel, but in a form of a pencil. The result? Weightless, long-holding, and natural-looking eye brows. 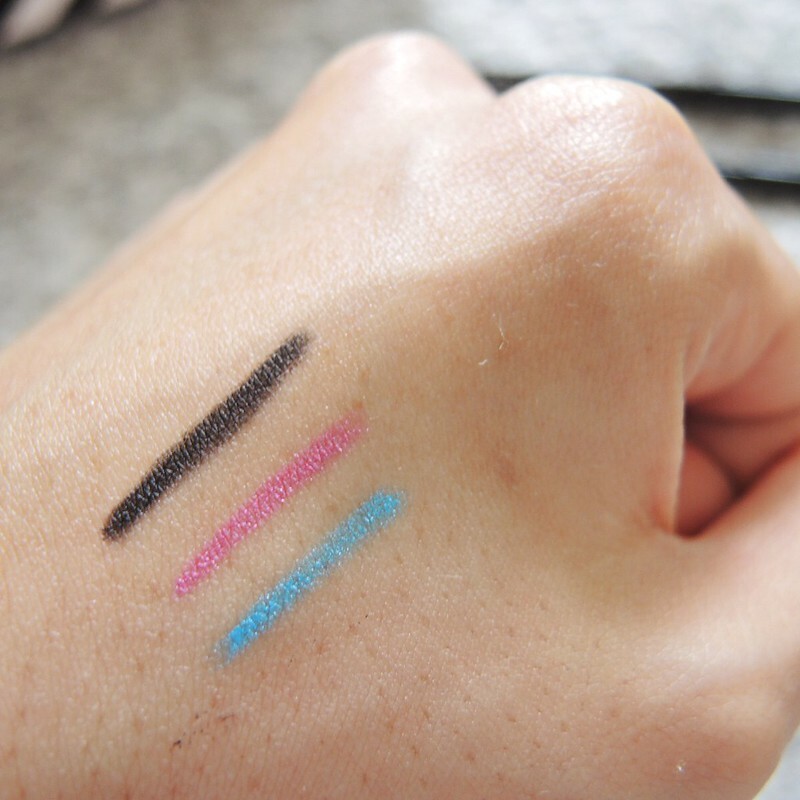 The universal transparent colour is suitable for brows of any colour, and layers well on top of eyebrow pencil. 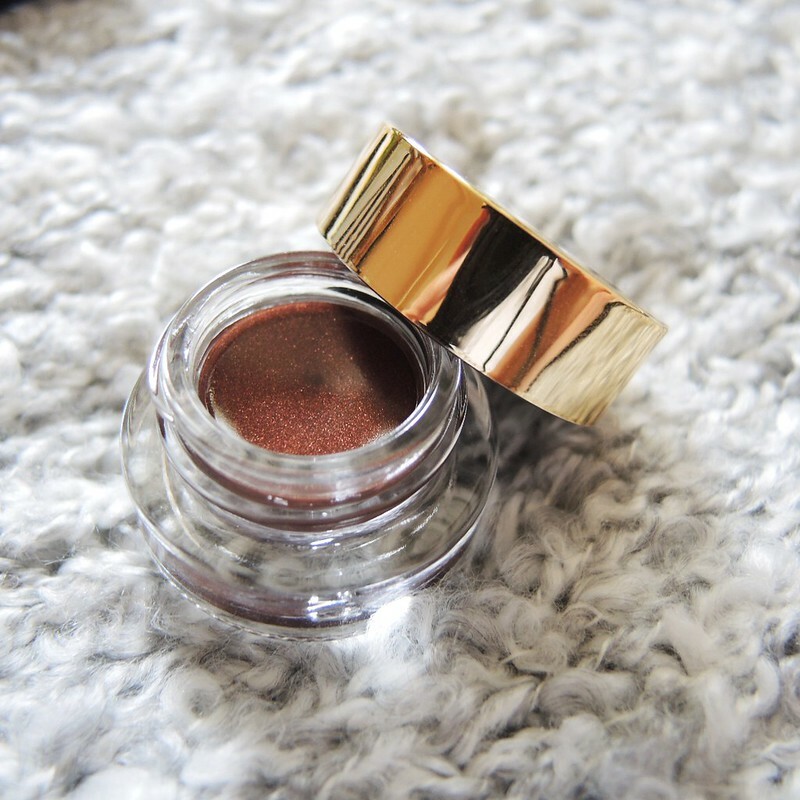 Tarte Clay Pot Waterproof Liner comes in a glamorous gold packaging. Non-drying, creamy, and glides on easily! Sweep it on with Tarte Etch & Sketch Double Ended Bamboo Liner Brush (refer to the bamboo liner in the first flat lay), which is sold separately. 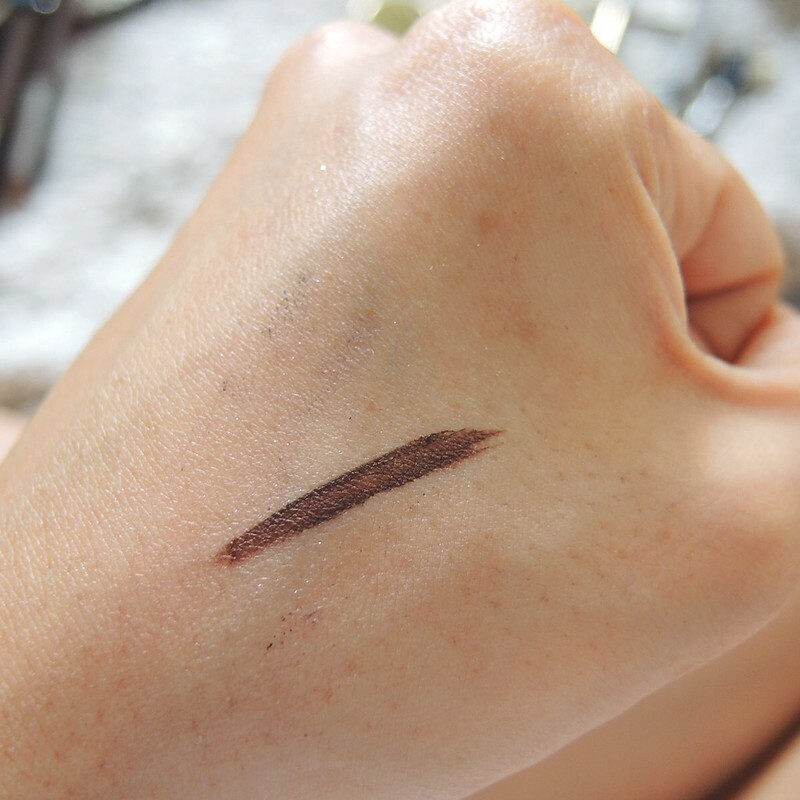 Lovely shade of Bronze, a softer alternative to black liners. I appreciate it greatly when brushes comes with their own protective covers. It's just so much easier to store them, and definitely more hygienic as well! 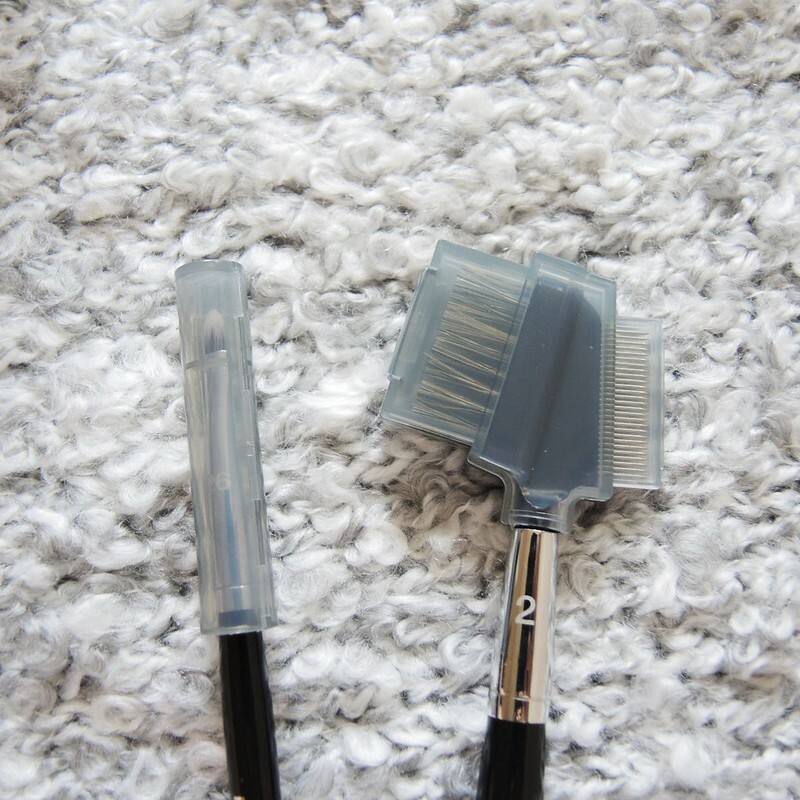 Sephora Pro Brow Comb #21: I never realized how helpful a lash comb is until I started using one! 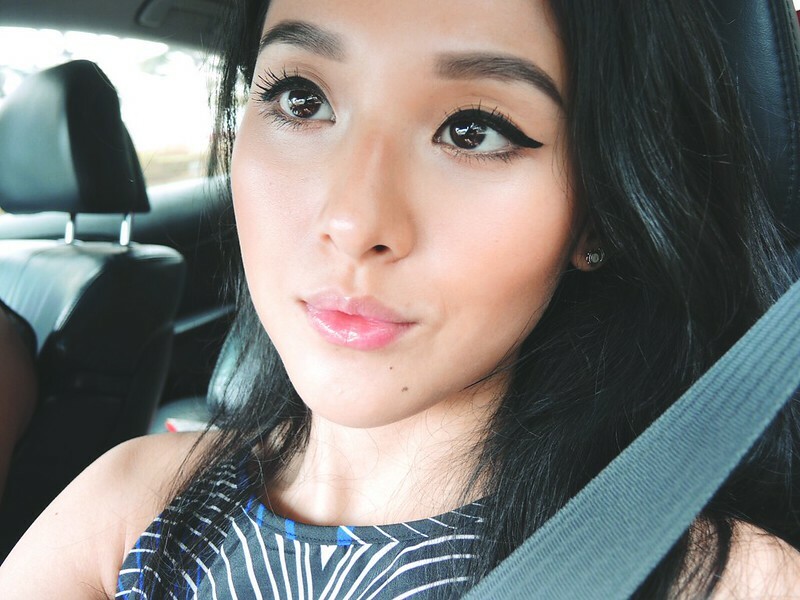 It separates the lashes, and removes excess mascara and clumps. 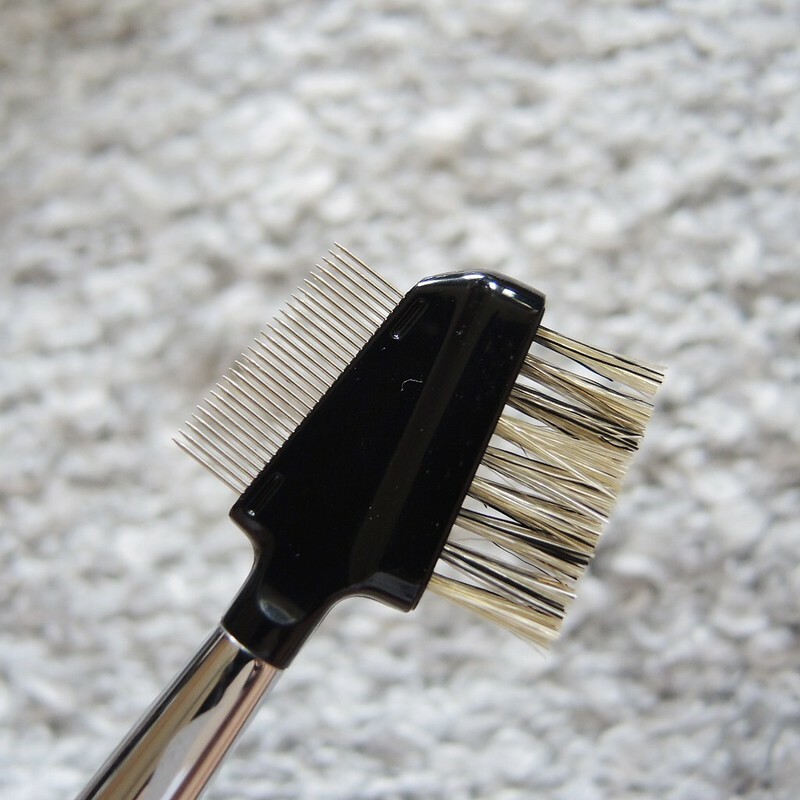 The natural, boar-bristle brush helps to groom your brows, blend colour, and soften the look. I think it works the same way as a spoolie. 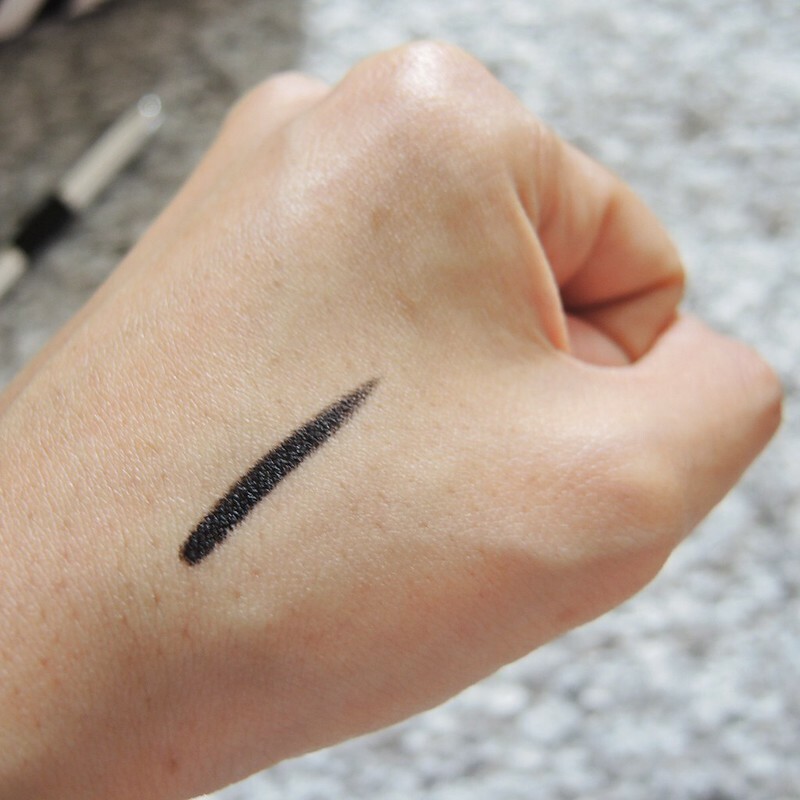 Ever since I started using a spoolie for my brows (also recently), I realized how such a simple and mostly overlooked tool, is actually so essential for natural-looking eyebrows. 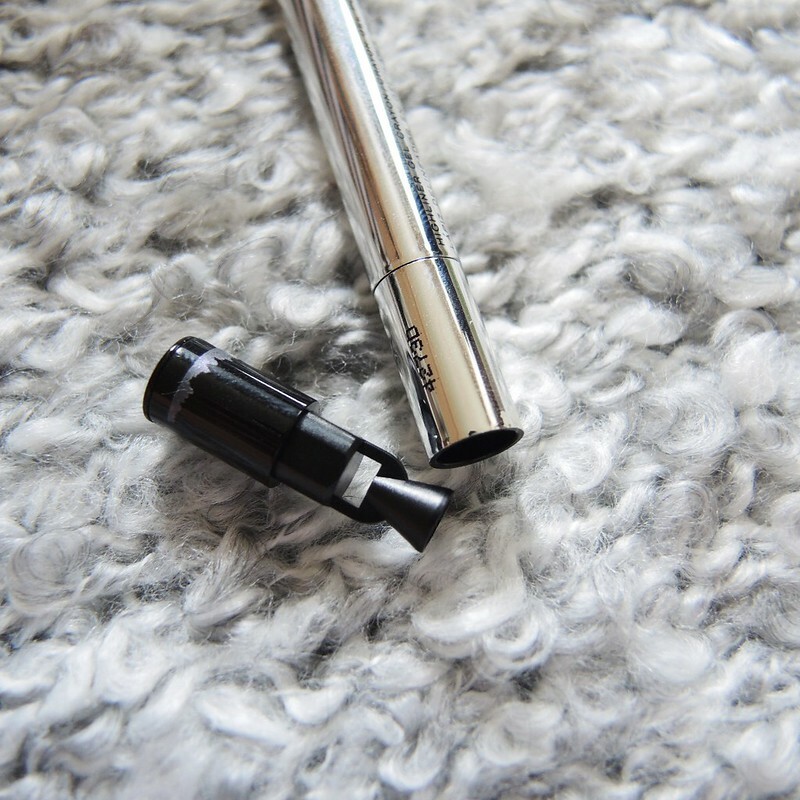 Use it to brush your brows in place before applying any brow makeup. 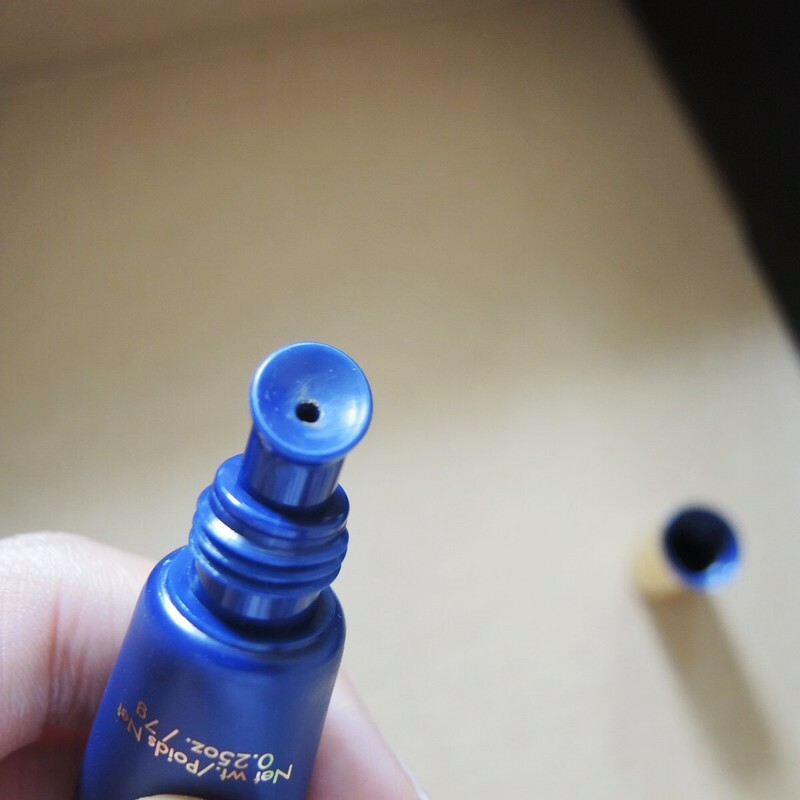 Use it again after filling them in to soften any harsh lines especially at the beginning of the brows. 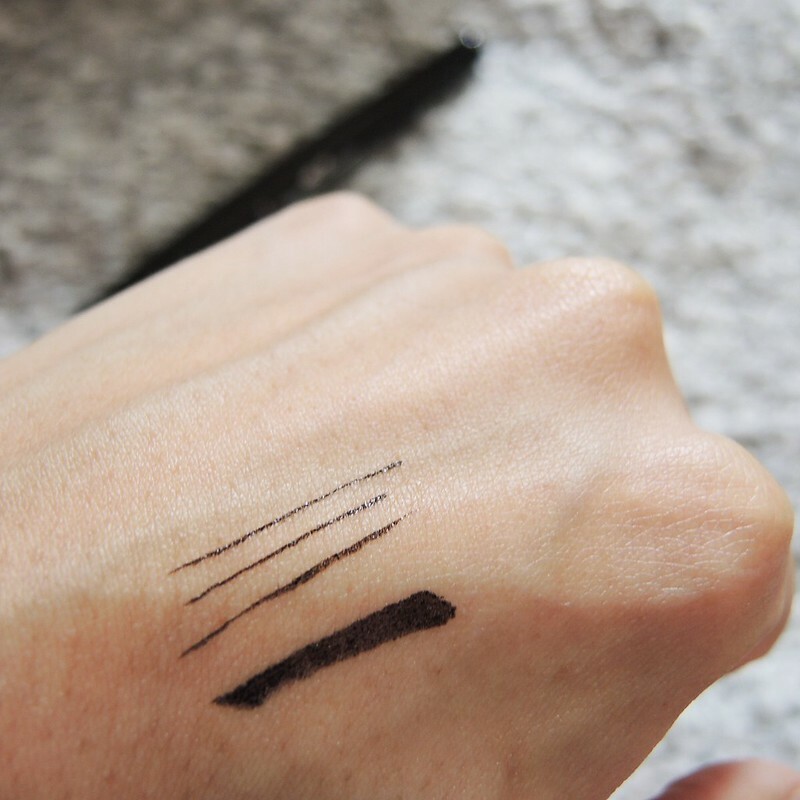 Stila Stay All Day Brow Gel & Brush (brush not pictured) is a waterproof and transfer-proof brow gel that provides instant definition for thin, sparse brows. What I find interesting is you have to squeeze out a small amount in the well surrounding it, dip in the brush and lightly apply. I find that this product needs some practice and getting used to because application is quite different from a normal brow powder. 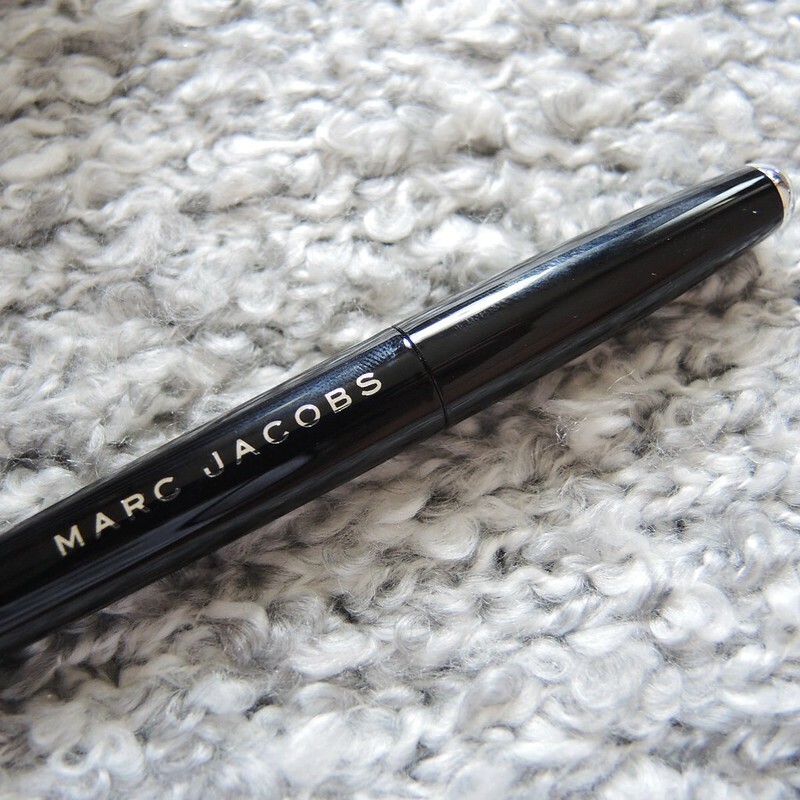 Wearing the aforementioned Marc Jacobs Highliner Gel Crayon and Sephora Universal Brow Freeze (on top of my usual brow powder). 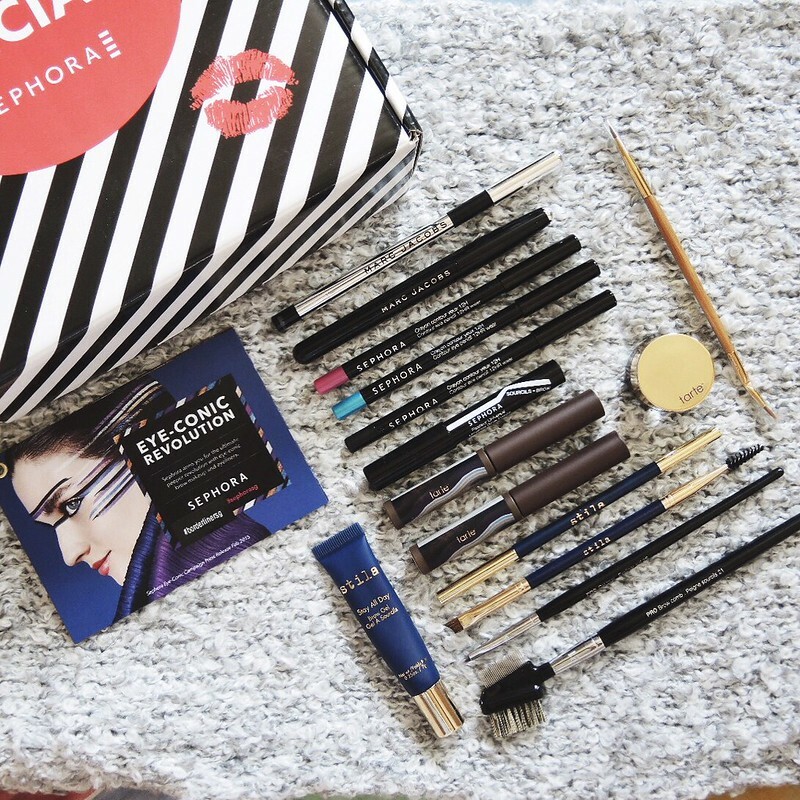 If you're interested, simply spend $100 at Sephora and stand to receive a complimentary Eye-Conic Beauty Kit, which includes a Mini Sephora Outrageous Mascara, a Mini Marc Jacobs Beauty Highliner, and a Mini Benefit They're Real! liner. White Card members will receive the same complimentary kit with a spend of $89. If you're a Black Card member, with a minimum spend of $89, you get to bring home the complimentary kit, as well as a deluxe Sephora 2-in-1 Waterproof Eye Makeup Remover Gel. Only while stocks last! Applicable to Sephora ION, Ngee Ann City, Bugis+, and Vivocity stores.